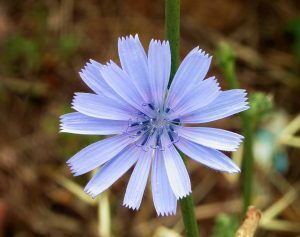 It turns out chicory is a some what common coffee substitute around the world (especially in the Mediterranean and France). While it tastes a bit like a thicker coffee, it is caffeine free. This faux use is in fact how it got really popular in New Orleans. 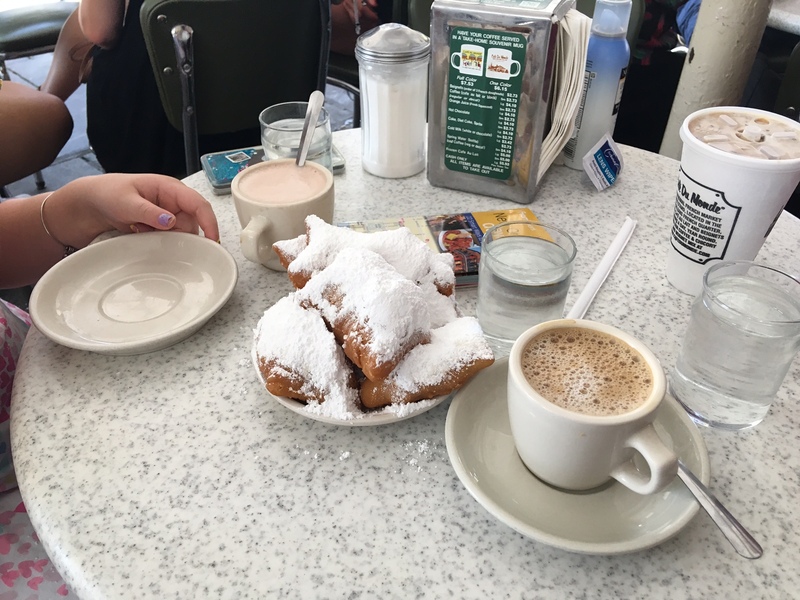 NOLA loves coffee, it was only second to NYC when it comes to per capita consumption in the USA in the early 1800’s. So during the Civil War, when blockades stopped coffee imports, they turned to the substitute as did other places in the south. They liked it enough that when the war was over and coffee flowed again they used it to enhance/improve their coffee. While mixing coffee with chicory was a tradition that was inherited from the French (in the mist of their own blockade during 1808 in fact), the blockade during the Civil War really increased the preference. Chicory is just dried and roasted root from the chicory plant. 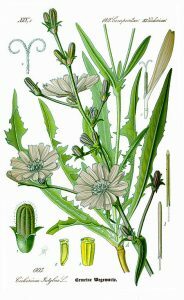 It is in the dandelion family along with endives and grows easily and naturally much like a dandelion, only it has bright blue flowers vs the yellow ones of the dandelion. Like other plants in this family it is relatively affordable and commonly available to grow. It is also called Belgium endive, not to be confused with the curly endive, its cousin, we see in grocery stores. It also happens to have a lot of health benefits besides making coffee richer, thicker and tastier. First off, it is mostly inulin, a fiber that is basically fertilizer for your gut bacteria. 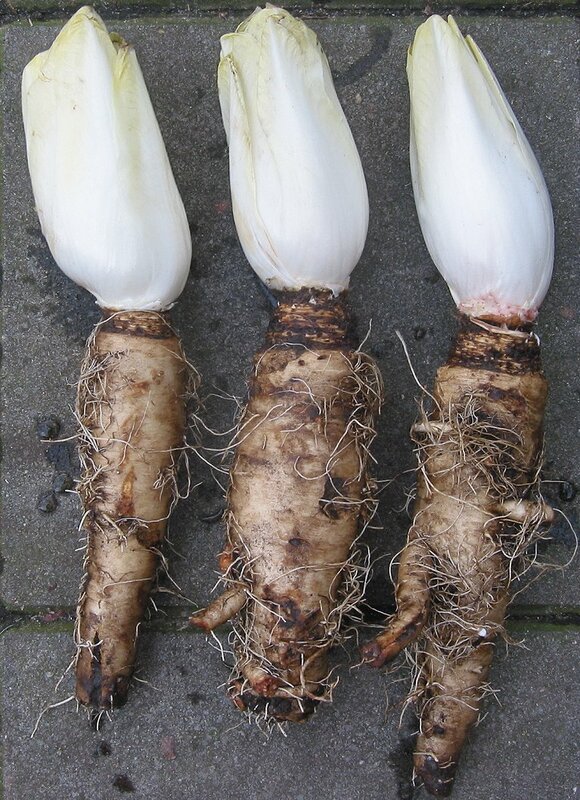 Inulin is also very helpful to control blood sugar levels and thus helpful for diabetics. Chicory also has some herbal effects besides the nutritional ones. It is said to help counter the negative effects of caffeine in coffee(making it like tea 😉 ) and have a general mood improvement effect. It is also effective at eliminating intestinal parasites supposedly. It may also be good for your liver and reduce cholesterol! It does have a few caveats. First off, the act of roasting changes the root a lot. It turns part of the starch into fruit sugar, and breaks down some of the beneficial chemicals. This is great for flavor, as it takes the bitterness down and adds other flavor profiles. How much sugar is formed depends on the roaster, so be sure to look at the sugar content if your trying to avoid it. It can be somewhat high in sugar if your not careful. Second, you should not drink it if your pregnant or nursing. It can also have interactions with some medicines, so be sure to look that up before you start drinking it daily. With this in mind, I bought some online and did some taste testing. Just with boiling water it is fairly good! It tastes like a nice coffee to me. Add a bit of milk, better. I found after experimenting it works well with cinnamon, a bit of cocoa, and 1/2 coffee. I also tried adding it to black tea with a surprising amount of luck, making a very different taste. I still love tea best, but I now can like coffee too. This entry was posted in Food, Health, Personal, Tea and tagged chicory, coffee, new orleans, NOLA, Tea. Bookmark the permalink.